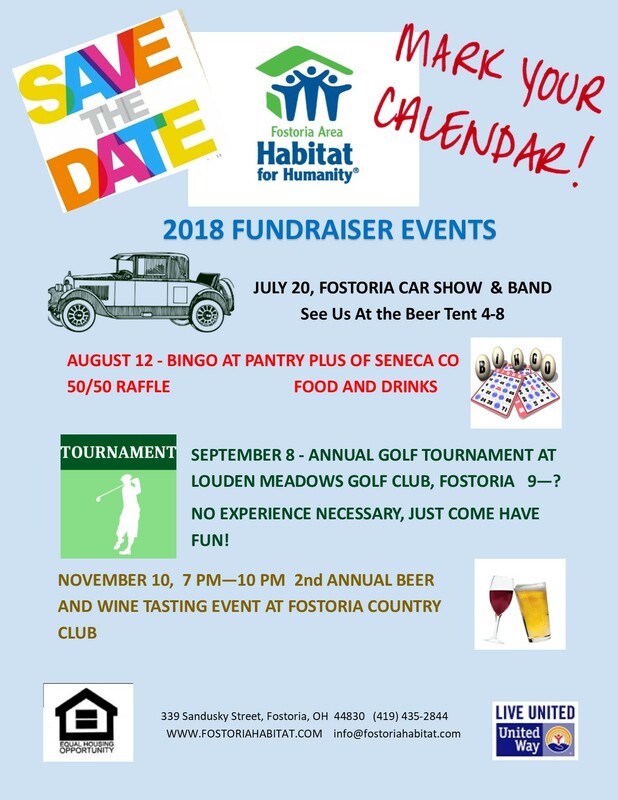 Join us for these upcoming fundraiser events. July 20th — Fostoria Car Show & Band. August 12th — Bingo at Seneca County Pantry Plus 50/50 Raffle. September 8 — Annual Golf Tournament at Loudon Meadows Golf Club. 9 a.m. start. November 10 — Second Annual Beer and Wine Tasting Event at Fostoria Country Club. 7-10 p.m.